UK and International weather balloon projects under development. Project skBalloon aims to construct and launch a near-space balloon being able to transport various instruments as CCD cameras, different detectors or commercial load to the earth’s stratosphere in approximately 40 km height above the ground. The project intends to raise awareness and interest about space sciences within broad public and remind them on importance of space exploration. Compared to many other countries Slovakia lag behind during last years in this research field with few exceptions. This should be changed in near future by a Slovak cooperation agreement with the European Space Agency (ESA) and activities of the Slovak Organization for Space Activities (SOSA). Our second near space probe JULO 2was launched on April 14, 2012. 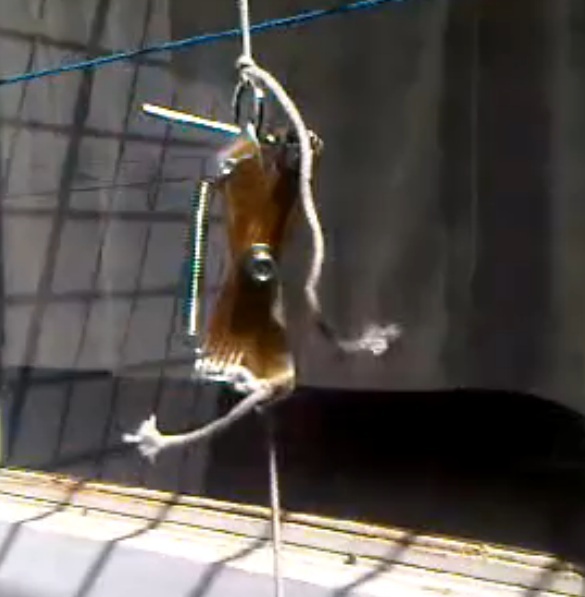 JULO 2 successfully reached 33 km and successfully communicated with the ground control. The near space probe successfully registered the first web domains from the near space environment and thus Slovakia became the first country in history with this achievement. All information and extracted data fromt he probe you can find on our information web portalwww.kozmonautika.sk. Since the beginning of the 1990s, PTB has carried out dosimetric investigations of the secondary cosmic radiation in the atmosphere. The measurements were, however, always performed at cruising altitudes between 8 km and 12 km. For much higher altitudes a new measuring system was developed. 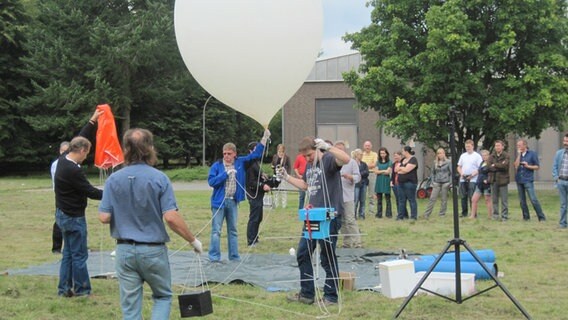 In cooperation with the Meteorological Observatory Lindenberg of the German meteorological service (Deutscher Wetterdienst, DWD), the altitude dependence of the dose rate was measured on several balloon probings up to an altitude of 30 km in 2011 and 2012. The radiation measuring instruments, i.e. Liulin devices manufactured by the Solar-Terrestrial Influences Laboratory of the Bulgarian Academy of Sciences in Sofia, use a silicon detector (size: 2 cm2, thickness: 0.3 mm). The signals of the detector are digitalized by means of a 12 bit analogue-to-digital converter and written on an SD memory card. The measuring instrument, its power supply and others sensors for determining the temperature, the air pressure, the air humidity, GPS data and the VHF transmitter were accommodated in a heat-insulated housing (size: approx. 24 cm × 24 cm × 28 cm; total weight: approx. 1.3 kg) to ensure that the temperature in the housing will not fall below the freezing point at outdoor temperatures down to -60°C. The measured values of the dose rates in Si are converted into ambient dose equivalent by a simple calibration factor and compared to calculations and previous measurements at high altitudes. With previous work on the European Student Moon Orbiter (ESMO ) having been completed and the project drawn to a close by the European Space Agency (ESA), the direction of satellite team activities at Warwick have changed as of the 2012/2013 academic year. Previous work focused on development of the power system for the larger ESMO craft. Efforts are now focused on the independent development and eventual launch of a CubeSat nanosatellite, developing the University’s existing capabilities in satellite technology. For the 2012/13 academic year we plan to design an optimised CubeSat and send a prototype up into the earth’s stratosphere using a weather balloon. A CubeSat is a nanosatellite, typically a cube 0.1m wide, with a mass of less than 1.33kg. They were developed in 1999 by both California Polytechnic State University (CalPoly) and Stanford University for use in space exploration and science by academics worldwide. Initial effort at the start of the Warwick CubeSat project have focused on establishing project aims for this and future years, and cultivating contacts in the UK satellite industry and with the CubeSat programme at CalPoly. CalPoly continue to foster contact between new and existing CubeSat programmes and are responsible for the design of the Poly Picosat Orbital Deployer (P-POD) used in many CubeSat launchers. 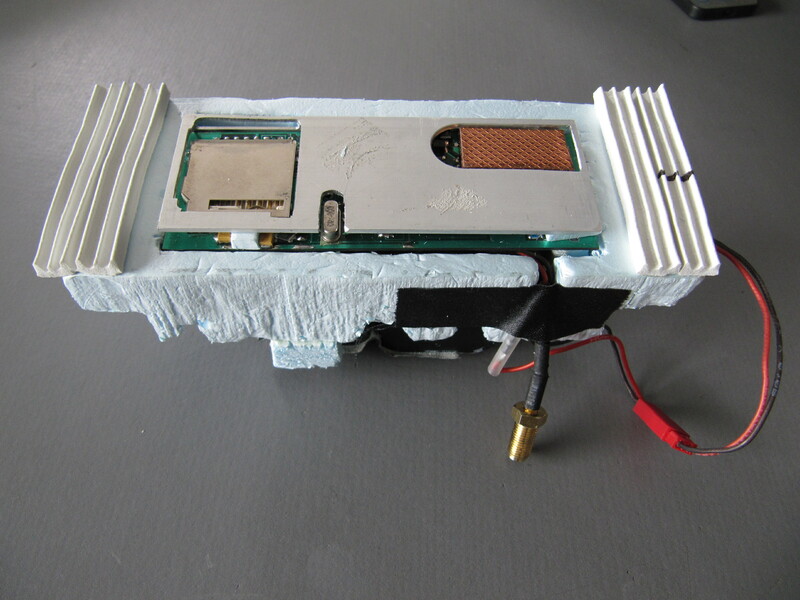 Design and build a prototype CubeSat, with a working communications and power platform using a scaled down version of the EPS developed in previous years for ESMO. Establish technical specification of a CubeSat for orbital deployment. 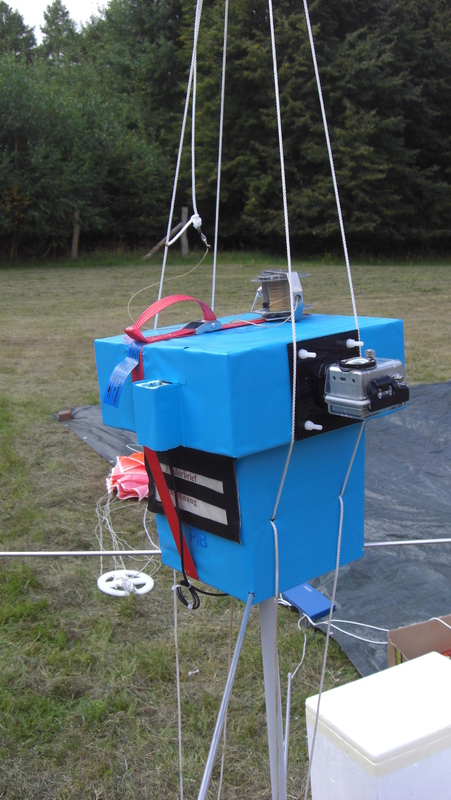 Conduct a test launch (and successful recovery) using a weather balloon in Spring 2013 as a technical demonstration of the power and communication systems, and measure and record meteorological data during the ascent. Oliver de Peyer and a team of molecular biologists are looking to sample stratospheric air for signs of microbial life which only inhabits the stratosphere. Speaking from the UKHAS, Oliver sets out his project . Software engineers and Amateur Radio Club enthusiasts from Clarkson University’s K2CC are working on a project to improve the functionality of radio tracking payloads and capture photographs of the earth with geospatial information. Tyler from Clarkson Near Space Balloon project gave us some details details of the experimental balloon launches they are carrying out to improve the robustness of radio trackers. Tyler said, “For most of our launches at Clarkson University we are focusing on the engineering aspects. Mainly reliability and redundancy. Our goal is to build a platform which is very robust. For example our power supply is being built to be able to work indefinitely. The advantage of this is our payload can sit in the wilderness for extended periods of time and still be functional. We are just north of the Adirondack Park (6.1 million acres) so there are many places where a payload could go down which are 10-15 miles from a road. I think this has really driven our robust design process and increased the engineering challenge for our group. We have a few different systems on board our payloads. The goal for our team is mainly to build a more interactive payload. For our next launch in the autumn we plan on capturing images in a new way as well. As for the tracking on our payloads, it is provided through 4 separate systems. One of the systems is interactive. That is, we can send commands to it and receive responses. So we can query the payload to ask for temperature, voltages etc. This system can also repeat messages. 7th June 2012 . JoshingTalk Space Art Project . Freelance media technician Josh Taylor is in the pre launch phase of his weather balloon project to create stratospheric art. Here Josh describes his project which is due for launch in summer 2012. “I completed my first high altitude balloon project last year (see here) with the intent of getting as high as possible (118,000 feet in the end!). The whole experience and sheer adrenaline has made me want to do it again! So this year I have been working on the ‘JoshingTalk Space Art’ balloon project with the aim of creating a piece of art at around 100,000 feet. It’s been an ongoing project since January and I’m getting to that stage where I’m just about to confirm my launch day and hopefully, re-live a lot of the excitement as last time. I have a desire to build my projects as any other person would. Not a lot of money goes into the creation and not a lot of knowledge either. I’m no rocket scientist and with these values, I look to inspire others and prove that anyone can do it. Simple materials and simple plans are key and most often, you’ll learn a lot more than you expect! In more detail, my Space Art project is building on what I learnt from my first project. 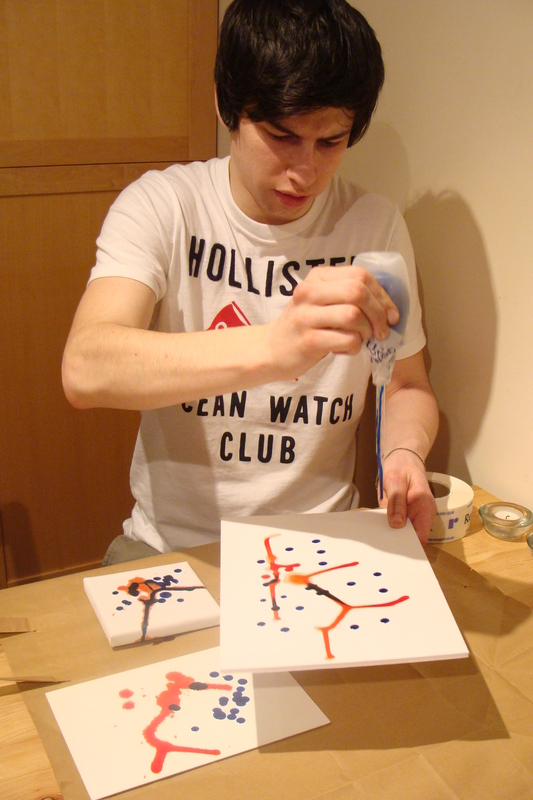 I will still use the basic package, only adding the components needed in order to make the artistic piece. The payload box, made out of polystyrene, more often used to insulate products during transportation. The hand warmer, keeping my electronics warm but more often used to keep, well….hands warm. The camera being light, portable and capable of filming for a couple of hours at a decent resolution. The GPS, providing my location upon landing but more often used to track cars or delivery vans. Combined with a weather balloon, toy parachute, some string and some sacred gaffer tape, you are able to achieve heights of over 100,000 feet. I’m working with some chemists at ReAgent who are creating coloured solutions to drip onto the canvas floating beneath my balloon and I’m looking to launch in the next couple of months. Health and safety is another key aspect of any project. I think a good dose of common sense creates the path to a solution in most instances. For example, if a canvas is to support 4 different solutions on a flat surface, it needs to be surrounded with maybe some polystyrene. This in turn soaks up any stray solution and provides padding upon landing. The solutions of course need to be eco-friendly and I have made sure that only strict measurements are kept within the payload to reduce the risk of overflow. I often chat to the people at the UK High Altitude Society who are a fountain of knowledge and they help me out with the launch and making sure that we comply with rules given by the CAA. Technical challenges come and go depending on where you are in a project. Some of my main issues were how to release the paint and how to stop it freezing. Releasing the paint came when I stopped and thought about how simple I could make it. I use one natural force to help me out here- gravity. Using a very thick solution, will enable the solution to drip at a slow rate from the payload and through to the canvas over a long period of time. Again, to stop the solution freezing, I thought about how we stop things freezing in our everyday lives. Anti-freeze was the obvious answer so I stuck with it and the chemists at ReAgent have used it as a base for the solutions. With it’s high freezing point, it should give me enough liquid solution to perform the deed at 100,000 feet. Now, I’ve just gotta do it! Why not follow my progress on my blog? Thanks for the inspiration and tips!